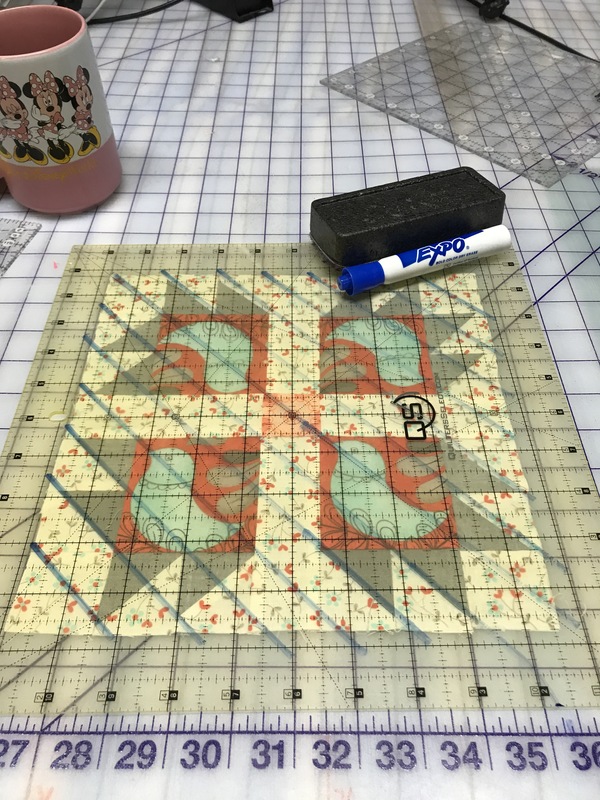 I love planning my quilting using dry erase markers and a piece of Plexiglas that can be purchased at a Home Improvement store inexpensively. 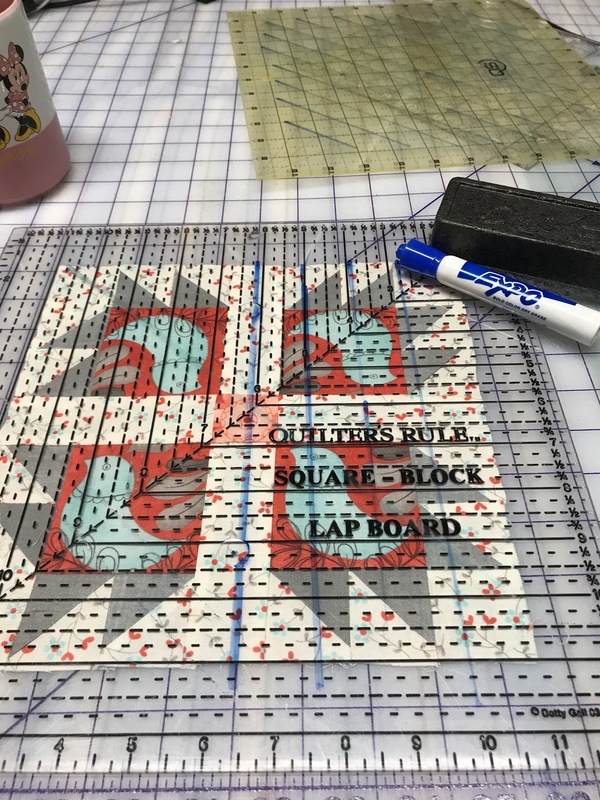 I have tried to use some of my other rulers, and while it does work, the view is somewhat obscured because of all the markings on the rulers. Here I’m using a ruler. I can see ‘ok’. 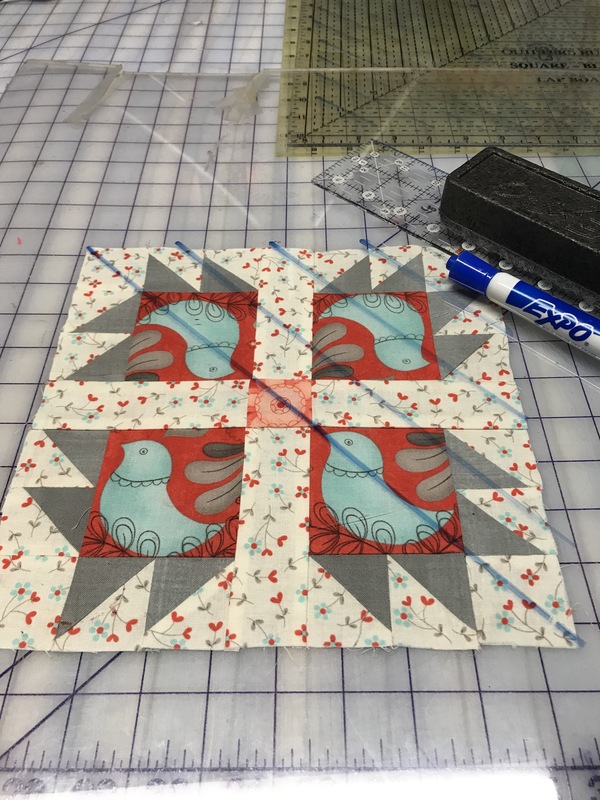 For the actual quilt block, I’m going to quilt diagonal lines with my walking foot. Since I wil l be whipping up two more blocks (and making this into a super fun table runner) there will be sashing and borders to quilt. In these areas, I’ll quilt a design from Lori Kennedy’s book (get the ebook for $9.99). Anyhoooo, the design is called “Double Loop Vine” and I think it perfectly mimics the leaves in the fabrics, don’t you? My fabric. Check out the leaves under the bird! Thanks for stopping by! 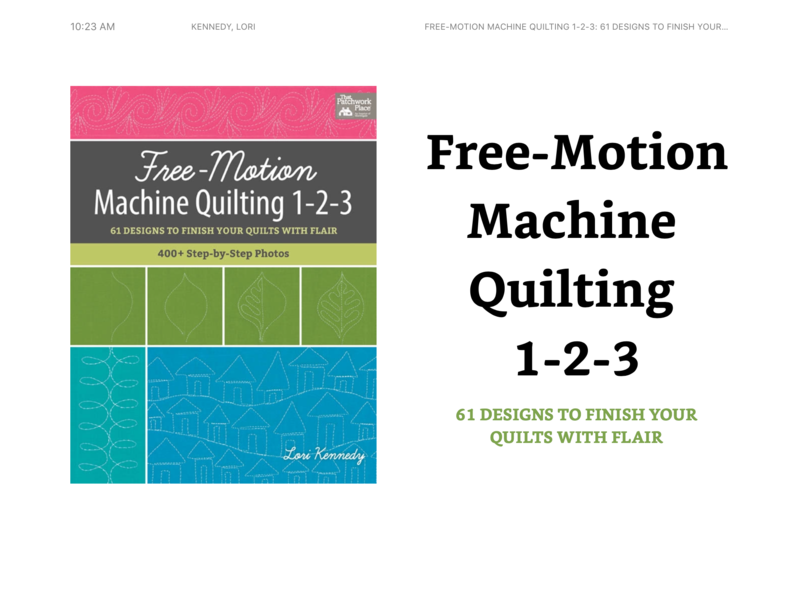 Let’s go machine quilt our own quilts.